With the hurricane season starting up again in the Atlantic, Irvince Auguiste is feeling vulnerable. 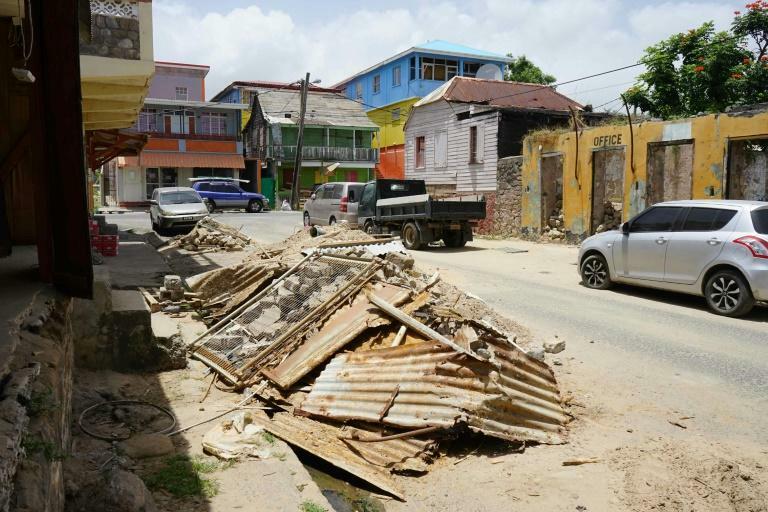 He, his wife Louisette and their three sons are still living in the ruins of their five-bedroom home that Hurricane Maria flattened nine months ago when it ravaged the tiny Caribbean island of Dominica. They have rebuilt a kitchen, a washroom and a communal living area with sheets of plywood, but they are sleeping in tents. "We are worried," Irvince says. "I don't know where we will go if another hurricane comes. We just have to pray it doesn't," adds Louisette. "But we are not moving; this is our home." More than 30 people were killed on Dominica when Maria crashed ashore on September 18 as a catastrophic Category Five storm, the first stop in a terrifying rampage that also devastated Puerto Rico and the Virgin Islands. Like the Auguiste family, most of the rest of the 70,000 residents of the former British colony are nervously watching the weather forecasts as they struggle to get back on their feet. 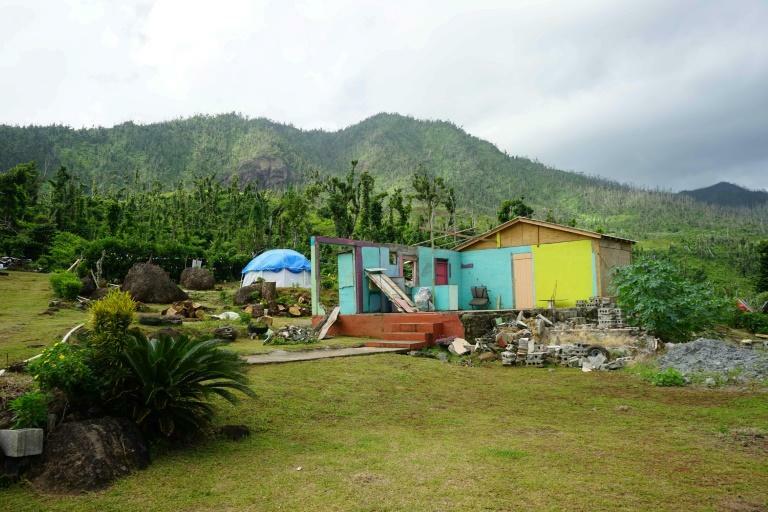 While there has been some progress on Dominica, recovery has been slow and the task is daunting. Damage to the island has been estimated at $1.33 billion -- or 226 percent of GDP. Most businesses have reopened in the capital Roseau and electricity has been restored to various communities island-wide. In Portsmouth, the island's second largest town, ground has been broken on construction of new hurricane-hardened residences for people who lost homes. The project, which calls for 226 residences to be built by next year, is being funded through a government program in which Dominica offers citizenship in return for investments in the island. Project manager Christopher Timmins said the new homes -- which will have reinforced concrete walls and roofs, and impact-resistant windows -- are "designed to withstand the worst that Dominican weather can throw at them." But elsewhere, like Touna Village where the Auguistes live, people are still living in tents. In nearby Marigot, both the health clinic and police station are operating out of private homes. 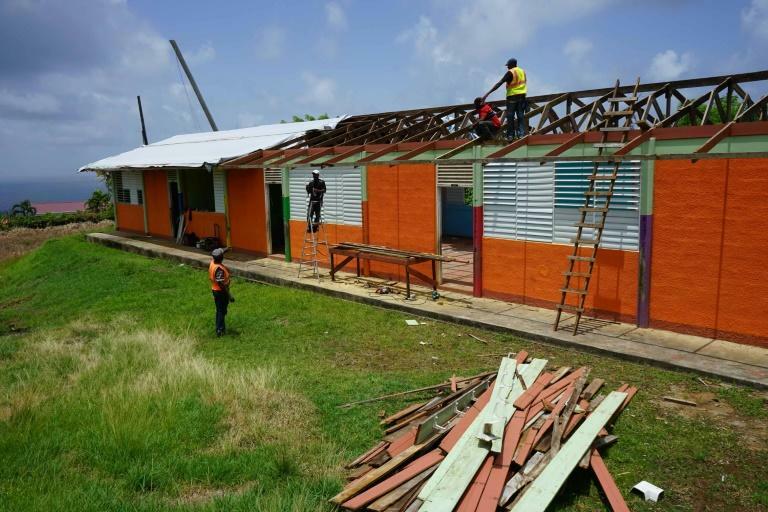 Telecommunications firm Digicel is repairing six schools in Kalinago Territory and Atkinson, and has replaced roofs on 40 private homes. But the pace is hindered by the "inordinate amount of time" it takes for materials to be shipped from the United States, said project manager Peter Court. Roofs are being fixed according to stringent new building guidelines that include a steeper pitch, thicker materials and more rafters to help them stay in place in strong winds. Lighthouse Christian Academy, a private school, had to fork out almost $20,000 to replace lost desks and benches, computers and books. It reopened in January but the absence of electricity means school days end early at 1:00 pm due to the stifling heat inside classrooms. "It's phenomenal trying to run a school without electricity," says principal Hudson Challenger. "Teachers can't do research and kids can't do their homework without lights. It's too expensive to use a generator." In Roseau, business may be down 50 percent but patriotism is thriving, says market stall vendor Augustina John, whose canvasses embroidered with the ubiquitous mantra "Dominica strong" are popular with consumers. "Life continues but I don't think Dominica will ever be the same again," John says. The island's destruction has spawned advantages for some. Brent Pascal was homeless and jobless for three years before being hired by the government to help clear debris. "It took three months to clean Roseau's streets and I have found work on and off since," he adds. Vegetation has returned to Dominica's once lush mountainsides but the defoliated trees could take up to 15 years to return to their former glory, says forest ranger Felix Eugene. Prime Minister Roosevelt Skerrit planted 80 trees last week to kickstart a national tree-planting program. Tourism chiefs recently launched a "Rediscover Dominica" campaign featuring a host of discounts to lure vacationers back to the "nature island."